Gulliver sofa bed with french mattress is ready to be shipped. Contact us to receive information on delivery or arrange pick-up at our showroom in Meda. The Gulliver sofa bed with french mattress meets all your needs for comfort, both for night time rest and relaxation during the day. It is available for immediate delivery with immediate collection in our Meda showroom or with guaranteed delivery within 7 days. 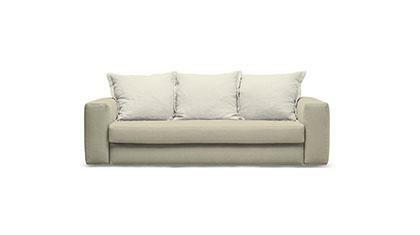 Why choose a sofa bed ready for delivery? All the quality of a BertO product, handmade in our Sartorial upholstery, with immediate availability. The best fabrics, colors and materials, personally selected by our interior designers and upholsterers, to better fit each model on the basis of structure, padding and style. Gulliver sofa bed with french mattress is ready to be shipped.